When did the Brotherhood of Steel first show up in West Virginia? What’s the real origin of Fallout’s big green super mutants? 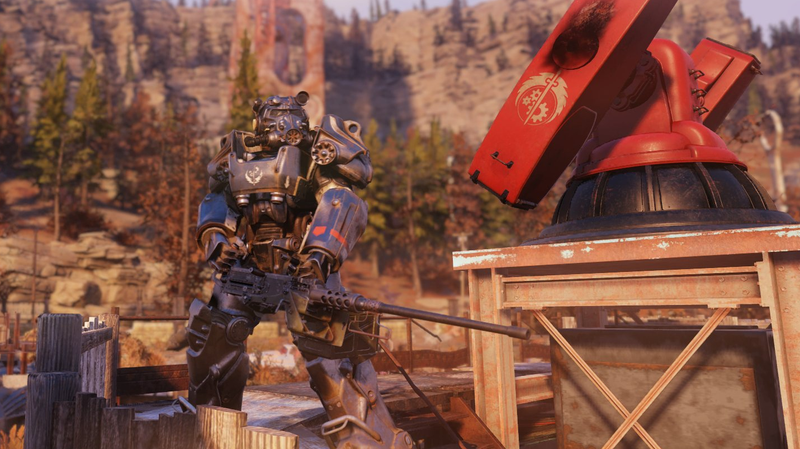 Fallout 76 takes liberties with more than a little of the series’ lore, but Bethesda doesn’t seem to be too worried about it, making light of timeline contradictions with a funny callback to Fallout 4. If you’re intent on discovering everything in Fallout 76 for yourself, beware that there are light spoilers ahead. Nothing groundbreaking or central to the game’s main plot, but a warning nonetheless. Kent Connolly. Remember him? He was a ghoul from Fallout 4 who worked in a radio station in the late 23rd century and was obsessed with the Silver Shroud, a vigilante character from a comic book series that existed before the war that turned America into a nuclear wasteland. According to messages you can discover in one of Fallout 76’s quest lines, he was also a big fan of another character from the series, the Mistress of Mystery, and he was more than a little disappointed in continuity errors between the original comic books and her later appearances in the radio play adaptation. That’s all according to messages that show up on a computer terminal in the game’s Riverside Manor location. It’s the home of the fictional in-game actress Shannon Rivers, who played the character in the radio version. She lived there after the war with her husband, and the two of them adopted orphan girls and taught them how to fight, just like the fictional Mistress of Mystery. The quest line around her character is one of the better ones I’ve come across in the game so far, and it also provides a funny side commentary on how lore metastasises and breaks down the longer a series goes on. Connolly goes on to write that he hopes maintaining the history and continuity of the character’s canon is as important to her as it is to him. In a postscript, he adds that he was “dismayed” to see the character’s dress had been altered because it was difficult to fight in, possibly an allusion to some Fallout fans own complaints when the Power Armor in Fallout 3 was changed from previous appearances in the series. Prior to Fallout 76’s launch, some players were confused about the the apparent existence of Brotherhood of Steel insignia in the game. The series’ existing timeline stipulated that this faction, originating in California, shouldn’t have appeared that far East so early on. Bethesda responded at the time with a tweet papering over the contradiction and chalking it up to “satellites.” Super Mutants also were believed to have been created only months prior to the events of Fallout 76, making their prevalent appearance in the game another mystery. Of course, the Connolly reference in this game doesn’t make much sense either, given that he’s a character from Fallout 4, which takes place long after Fallout 76, a prequel to the rest of the series. That’s assuming that the person referenced in the computer terminal is the same ghoul running a radio station hundreds of years later. (Update: as has been pointed out by many Fallout scholars in the comments, ghouls extended lifespans on account of their condition meaning it would make perfect sense that Connolly was writing to one of his favorite actresses just prior to the events of Fallout 76). Either way, I’m looking forward to seeing how Fallout’s most devoted fans try to reconcile the game’s increasingly wild lore. Something tells me that as Fallout 76 continues to expand and get updated, it’s only going to get weirder.